You are here: Home / Blog / Hand-Manipulated / Why is it called Brooks Bouquet? Why is it called Brooks Bouquet? 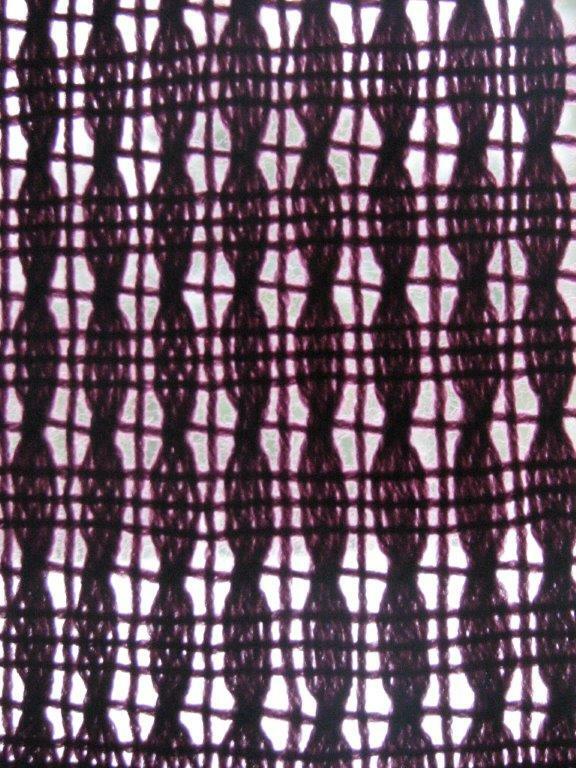 From left to right – front of fabric, back of fabric. 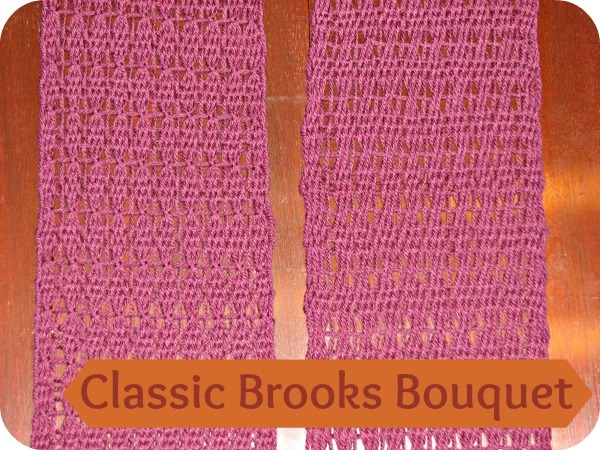 I’ve been playing with Brooks Bouquet again lately, in preparation for an upcoming weaving class in which we are going to be working with several hand-manipulated techniques. I get really hung up on nomenclature – WHY are things called what they are? HOW did they get their name? And while working on my samples, I realized that I don’t know why Brooks Bouquet goes by that name. Brooks Bouquet in Brown Sheep Nature Spun Sports Weight – held in front of the window to show the open lacy-ness. 1. It is named for Marguerite G. Brooks. 3. Marguerite wrote a booklet, titled Variations of the Brooks Bouquet, which I would love to get my hands on. I have not yet been able to definitively determine if she “invented” it, or if it was already in existence, and she simply became such a proponent of the technique that her name became attached to it. It does seem to me that the bouquet technique worked on an open shed is what makes it become Brooks Bouquet, as opposed to generic bouquet. This gives a distinct front and back to the fabric, as shown in the title photo at the top of the post. It also creates the “windowpane” effect between the oblongs (referred to as “lozenges” in one source I read). I have also realized that there are even more variations of the bouquet technique than I realized. But I’ll save that for another post. 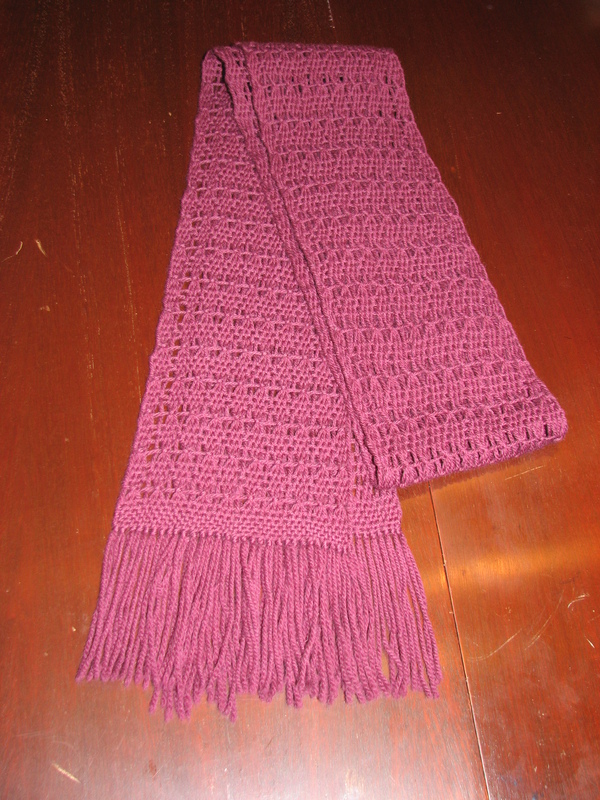 https://i2.wp.com/www.mielkesfiberarts.com/wp-content/uploads/2013/04/classic_brooks.jpg?fit=600%2C450&ssl=1 450 600 Andrea Schroer /wp-content/uploads/2015/01/logo.png Andrea Schroer2013-04-09 11:47:062015-12-23 12:24:44Why is it called Brooks Bouquet? Pin Loom Weaving Books, Which Should I get?